We hope you will find our Mammoth Resort Corridor Guide helpful in planning your Mammoth Vacation. In addition we invite you to come back and visit online anytime to stay in touch with your favorite local establishments. If you would like to know more about our area than what is included in this guide do not hesitate to contact us. Please use our experience and local area knowledge as a resource. Central Reservations of Mammoth has been helping our Mammoth Vacation guests enjoy Mammoth Mountain Resort's high sierra resort corridor since 1981. There are numerous events throughout the Eastern Sierra all year long! Everything from music festivals and fishing derbies, to sporting events and food/wine/beer-centric celebrations! Many are free, too, and great for the whole family. Need another reason to make plans to getaway to the Eastern Sierra. Our Mammoth Condo Rental rates are the lowest of the year making Spring, Summer and Fall a great time to come up and enjoy all the Mammoth Resort Corridor has to offer. Our condo rental rates are reduced 22% - 64% May thru October. Central Reservations of Mammoth`s 7 nights weekly spring, summer and fall 2 free night special makes our lowest lodging rates of the year even better. 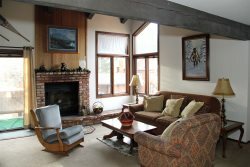 We look forward to having you stay with us in Mammoth Lakes and please call or email if you have any further questions. Be sure to click on our specials tab to view any discount passes we will have available for some events. Where to go? Your guide to Restaurants, Shopping, Spas & Health Clubs, Beauty Salons, a Movie Theater and other great Hot Spots in Mammoth Lakes. Who to call? From Day Care and Pet Sitters to Transportation Services. The fun doesn`t stop in Mammoth when the snow melts. There are so many summertime activities to enjoy; it`s difficult to list them all. Come experience the wilderness and beauty of the Sierra Nevada Mountains this summer. Fishing, Horseback Riding, Golfing and Mountain Biking are just a few of the activities to enjoy. Our guide lists more information for planning your summertime activities. Some sports and recreational activities listed are open all year round, but it is always a good idea to check with a local official or Ranger to make sure the attraction is open. Be sure to check in with the Visitor Center at the entrance of town for current conditions. Although the great variety of summer activities in Mammoth Lakes could keep you busy for a week or two, there are also several day trips worth investigating. For starters, take a drive up the beautifully scenic Highway 120 to Yosemite National Park. Mono Lake is another spectacular day trip to consider. Visit a ghost town, Bodie is a former California mining town. It`s no question that winter is awesome in Mammoth. But as the locals say, Come to Mammoth for the winter but stay for the summer. Travel to Mammoth Lakes during this un-crowded time of year and enjoy the brilliant, fiery colors that fall has to offer. Mono County and the Inyo National Forest are rated #2 in the United States for the best fall foliage viewing by GORP.com. TravelandLeisure.com also ranks the Eastern Sierra among America`s Best Fall Color Drives! Every autumn, cottonwood, quaking aspen and willow are transformed into colorful hues of gold, orange and russet. Take the Fall Color Tour! The Eastern High Sierra Fall Color Guide provides twenty locations to view spectacular fall colors from Big Pine Canyon in the south to Walker River Canyon in the north. Pick one up at the California Welcome Center - Mammoth Lakes located on Hwy 203 at the entrance to town. Known on the West Coast as the "Top of California", Mammoth Lakes offers a wide range of winter activities and recreation. Mammoth is known for its Mammoth Skiing and Snowboarding terrains and abundant snow fall. Novices to expert skiers and snowboarders can hit the slopes at Mammoth Mountain Ski Area. Mammoth also has some of the most pristine Cross Country/Nordic skiing in the World. For those of you who enjoy Snowmobiling, the opportunities are endless with mountain terrains that stretch as far as the eye can see. Still need more winter options? No problem! Other Winter Activities include, Ice Skating, Ice Climbing, Dog Sledding, Snowcat Tours, Family Fun & Snow Play, Fishing, and Photography. With more than 300 days of sunshine, and 400 inches of snowfall annually, Mammoth Lakes is the place to be in winter. But don`t let the calendar fool you, although it may be spring in other parts of the country, Mammoth can continue to get snow storms all the way through May, so always carry chains in your car. The California Welcome Center - Mammoth Lakes located at the entrance to town on State Highway 203 offers free winter trail maps and information on guide services, special events, current trail conditions and regulations. Ask for the Free Winter Recreation Map.